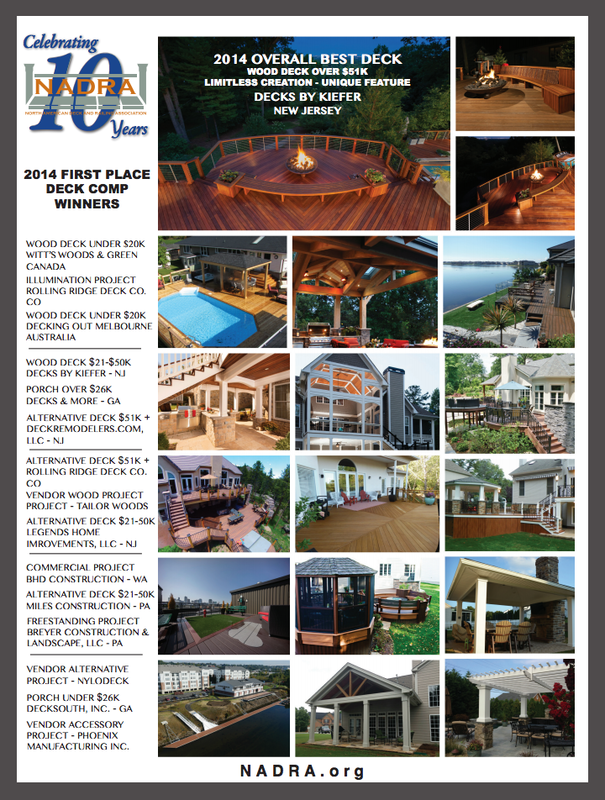 Hats off to everyone involved in our 10-year celebration! 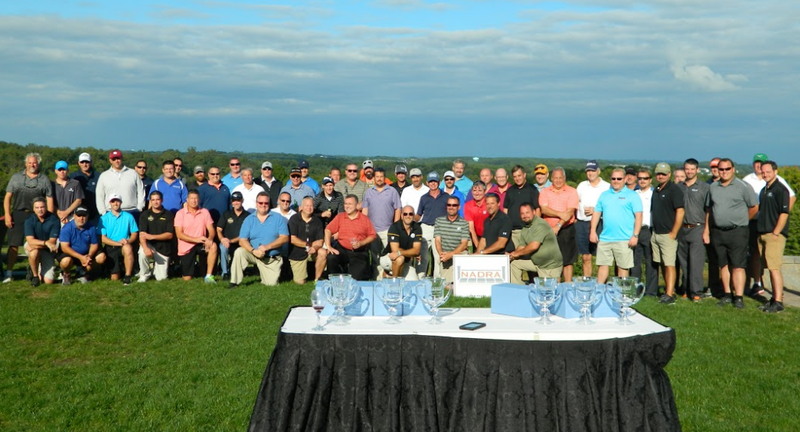 To kick-off our 10th Anniversary Celebration NADRA members and guests joined us at Mountain Branch Golf Course for a day on the greens. Thank you to everyone that made it out! What a gorgeous, warm & sunny day we had! 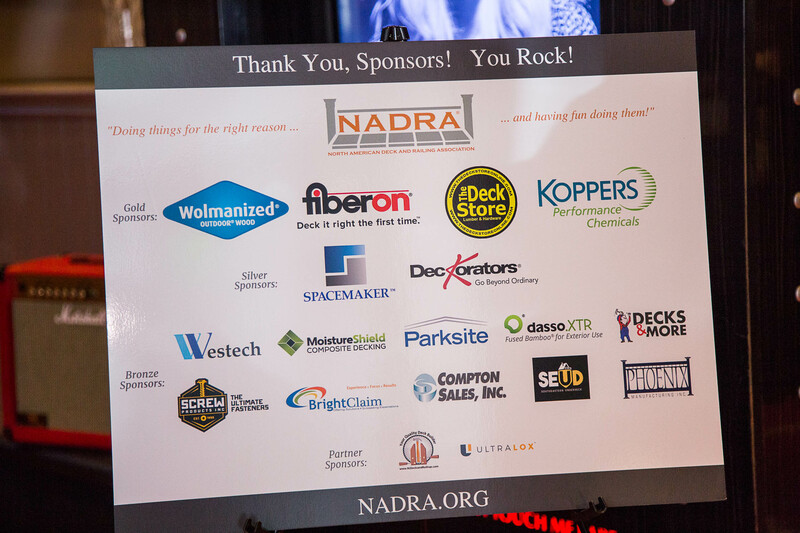 NADRA hosted their 10-Year Anniversary Celebration at the National Aquarium in Baltimore, MD. The Aquarium theatre was sold out with 250 guests. 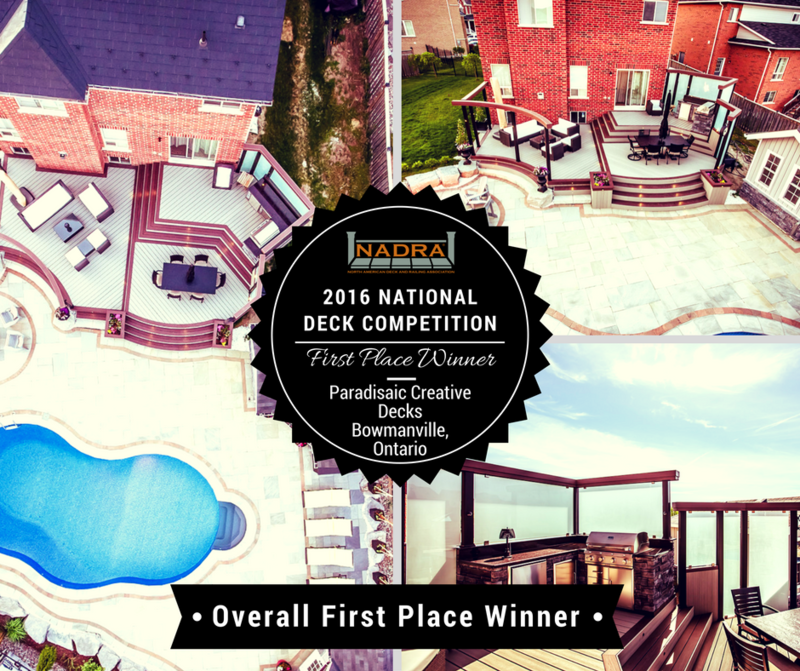 Attendees included NADRA Members from as far away as Ontario, Canada, Western Washington and even Australia! 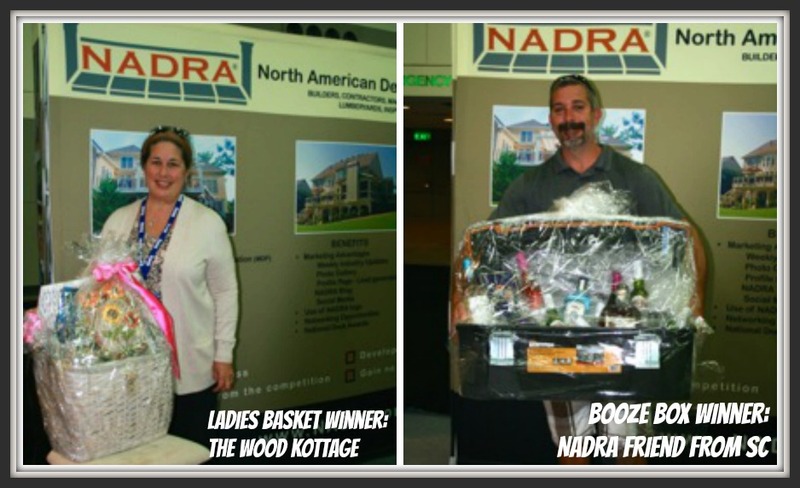 NADRA’s National Board and local Chapter Directors were in attendance along with National sponsors & of course, NADRA NJ and Atlanta Chapters filled the room with the usual competitive banter that we look forward to each year. Bill Ross, NADRA’s President opened the awards ceremony for the evening. Michael Beaudry, NADRA’s executive Vice President introduced Shawn Miller, Immediate Past President and were masters of ceremony for the evening. Shawn presented a video testimonial where NADRA members shared their experience with NADRA and why they benefit from being involved. That video can be found HERE. 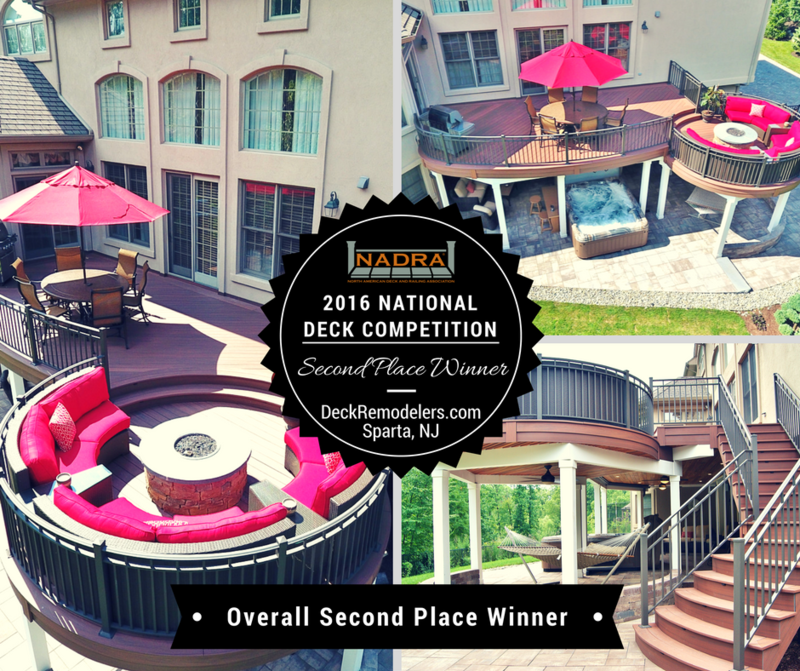 Mike and Shawn presented NADRA’s annual Merit Awards to Bill Ross with Fiberon and Matt Breyer with Breyer Construction & The 2014 Terry Award was presented to David Elenbaum with DECKSTORE SC. 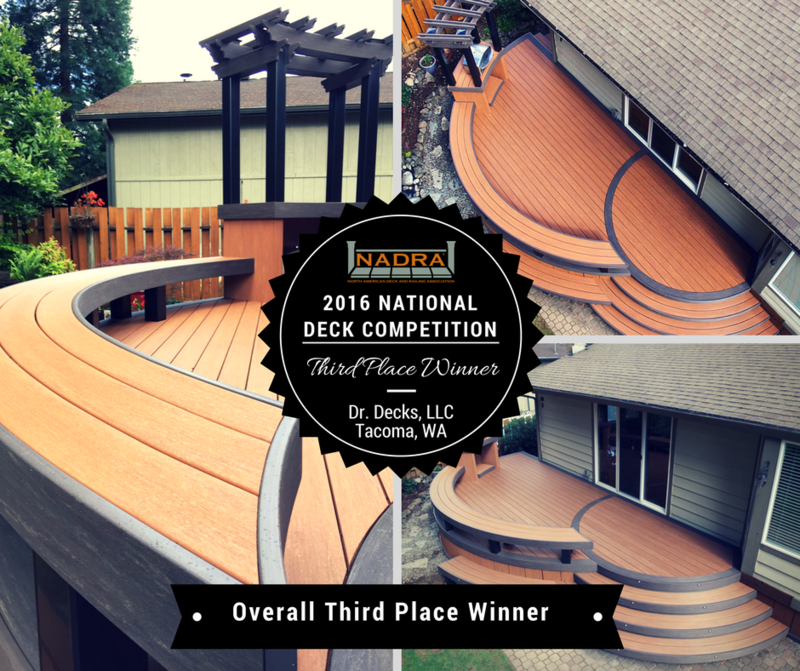 John Burkhart – Westech Building Products, Inc.
Jim Miller – Screw Products, Inc.
More details along with 2nd and 3rd place Deck Competition winners will be announced later this week in news from NADRA.